/dracula-untold-international-poster-featuring-luke-evans/Following the international poster that was released earlier today, Universal Pictures has debuted the domestic one-sheet for Dracula Untold. 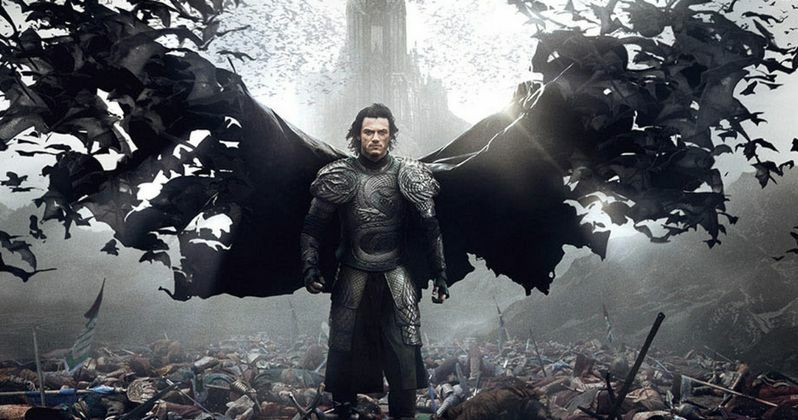 Luke Evans is featured as the world's most iconic vampire before his transformation in this story that follows Prince Vlad's descent into the supernatural. He forms a dark pact to protect his people, and must suffer the consequences, which include never growing old and an unquenchable thirst for blood. Check out Vlad the Impaler as the bats gather to give his bloodline an unexpected boost of immortality. In theaters this fall, just in time for Halloween.